Judith is 59 and widow, lives in London and has two children: a son named Oscar and a daughter named Megan. 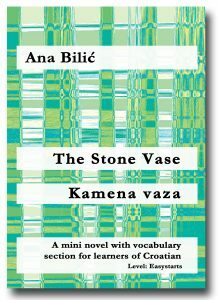 Judith has inherited a stone vase from her father: originally a gift from her father to her mother from his business trip in Split. Judith and everyone in the family – her children and grandchildren – are familiar with the story of the vase because it has been told many times. To bid a final farewell to her father, Judith decides to visit the island of Brač, where the vase originates from. But this decision makes her children and grandchildren uneasy and worried. An amusing story about family and family happiness.